#MidnightChocLit No.6 | “The Art of Deception” by Liz Harris Jorie is gobsmacked she’s read SIX #PocketChocLit novellas over the holidays! How could they be *devoured! * already!? More, please #ChocLit!? I received a complimentary copy of “The Art of Deception” from ChocLit in exchange for an honest review! I did not receive compensation for my opinions or thoughts shared herein. #MidnightChocLit No.6: a farewell to ChocLit novellas for now by ending with a beloved #HistFic novelist of Jorie’s who wrote a Contemporary Suspense novella that held her on the edge of her seat! apparently well-timed with the return of #SherlockPBS, too! imagine!? And, so my hours spent devouring #PocketChocLit Novellas ends as it began: a bookish girl with her wickedly delightful ChocLit tee, a star tattooed teddy and a ChocLit story to curl up inside to wick off hours of delish reading blissitude! This American ChocLit reader signs-off with a hopeful nod at seeing more #PocketChocLit in the future! When I conceived of this idea – not just to coin these novella print editions by ChocLitUK with a quirky poem which speaks to the heart of what these portable editions represented to me personally, but the whole scope of what this particular blog series #MidnightChocLit encompassed gave me a leeway of showcasing not only a smidge of my bookish life ‘behind’ the blog but allowed me to delight in the wicked awesome joy of being a traditional reader (print or audio) who *finally! * could read the ChocLit novellas she’s dreamt of reading for two full years! I cannot even properly express the burst of JOY fuelling my heart when I first opened my #ChocLitChristmas parcel – seeing all these lovely editions all tucked into a bubbler was a gift of happiness during a point in my life where reading & blogging (even tweeting, let’s face it!) was at a record ‘low’. These curiously portable Roms re-inspired me and re-invigorated me to pick up reading again after a wicked awful medical emergency in my family. I am not saying this lightly either – but #PocketChocLit gave me back my bookish joy! What was incredible for me as a reader, was watching the difference between trying to read a novel (cannot tell you how many times I tried to read You’re the Cream in my Coffee) whilst still feeling the weight of the emotional trauma and stress still ever-present on the edge of my soul and not really truly feeling motivated to read at all. Then, these curious editions *pop! * into my life and the next minute, I’m grabbing my digital camera and the whole *blog series! * itself spun round the poem & tag of #MidnightChocLit was bourne! In many ways, ChocLit novels have re-fuelled my spirit time and time again these past two years I’ve been a reviewer for the publisher. The uplift of reading Romances in today’s ever complicated and uncertain world is a bolt of #unputdownable joy for me. I have always loved reading Romances; even before my teen years as I hinted about previously I started reading Roms quite young (around eight or nine years!) and their ability to fuse relationship-based Romances into my bookish life has been a lifelong burst of joy. 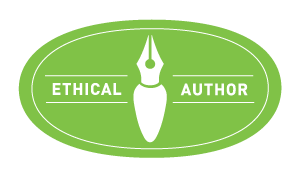 Finding ChocLit was a delish encounter and I am truly blessed to continue my journey with this publisher as the New Year emerges into view – as I embark into my 4th Year as a Book Blogger, I begin my 3rd Year as a ChocLit Reviewer! Therefore, this blog series was a small way of ‘giving back’ some of the joy ChocLit authors have been giving me all along whilst trying to inspire more American Rom readers the delightful glee of finding realistically brilliant Romances for today’s voraciously particular reader! 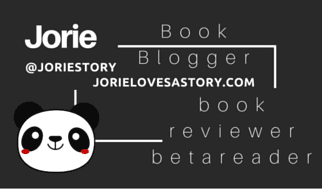 It also granted me a chance to share a bit more of a personal side of who ‘Jorie’ is and a small bit of her readerly life. Thank you for following me and taking this #MidnightChocLit journey with me! IF your just joining me for #MidnightChocLit and want to know why I conceived this wicked #awesomesauce of a readathon – please direct your attention to #MidnightChocLit No.1: You’re the One that I Want. I read *six! * ChocLit novellas Christmas Week & New Year’s – reading NO! devouring a healthy dose of Rom through the holidays with a ‘pocket of ChocLit’ in my bookish hands! Remember: I tweeted LIVE as I read ahead of posting these reviews! Do tweet me your reactions & add your commentary on the posts if your just discovering them for the first time! All posts are anchoured with the *live tweeting sessions* too for easy reference or sharing! I received a complimentary copy of “Only True in Fairy Tales” from ChocLit in exchange for an honest review! I did not receive compensation for my opinions or thoughts shared herein. Even my resident dragon is eagerly spying a snippet of this novella as a wicked good #nextread of his own! Astride his back is one of my favourite “Mum gifts” as when I was feeling especially poorly after foot surgery (in my late teens) she found a way to lift my spirits by giving me this beautifully lovely Angel Bear! The wings are so iridescent as much as the lovely star she’s holding, too! Hence why I thought it was rather a fitting shot – my Angel Bear holds a star, my dragon wants to snag this read for himself and all my #currentreads are ‘photo diving’ into the shot via the corner of one of my bookcases! It should be known – when I started off as a book blogger, I had several bookcases stuffed to the gills with books from my personal library; although not the full collection; not even by half. I’ve been collecting books since I was knee high to a grasshopper, so you can well imagine the collection a bookish soul such as myself might acquire? However, 15 months ago I had to scale back my shelves and pack away most of my dearly beloved bookish friends til a new day when they meet each other again in the future; thus, I have two bookcases now: one for reviewing & one for my personal library selections. There are seven ‘shelves’ if you count the fact I’m using the top shelf of the case itself as an ‘overflow’ area (laughs): the bottom is actually ‘spare space’ where I stored the one series I anguishing couldn’t finish collecting from Guideposts because despite being a subscriber to said series and told I’d get all the books; they quit printing the series and all of us were left with a non-completed set! The series is Mysteries of Sparrow Island and I think it will take me most of my life to find copies of this beautiful series readers have discarded as I have a nearly full set myself! I believe this is a full list of the series – my own copy a lovely clerk at Guideposts faxed to me years ago in an ill-attempt to secure the rest of series for me was found on one of my favourite sites for scouting out Cosy Mysteries! I promptly cancelled my second subscription for the Church Choir Mysteries and discarded all hope of picking up their other series as what is the point if they can just quit their subscriptions up out of the blue?! I digress. The two shelves up from Sparrow Island are my ‘re-reads’ of review books I dearly want to re-soak inside and re-appreciate as soon as time and life allow me the pleasure of their returned company! The next two shelves are ‘current review books’ in-part as I have housed a lot of my ChocLit novels & novellas tucked into one half of one of the shelves (the other half of my ChocLit novels are on my second bookcase; those I never pack away!) and my Julie Lessman Library (feat. the Daughters of Boston series; 3x trilogies, plus a prequel), my Brenda S. Anderson Library (feat. the Coming Home series), my Dee Henderson books (starting with Full Disclosure; her previous series are packed) and my growing collection of stories by the lovelies of Southern Belle View (i.e. Lisa Wingate & Beth Webb Hart). The top shelf (in theory, if you discount the upper shelf!) is housing my Science Fiction & Fantasy #currentreads (i.e. leftover from #RRSciFiMonth and being feat. in #SciFiExperience this January), my Ghost Harrison collection (by Heather Graham) and an assorted array of Suspense & Mystery novels I intend to finally dig inside in 2017 (either before or during October!). Which brings me to the upper shelf – two stacks deep occupy my #BacklogueReads (see this Riffle List), the middle stack are more Sci-Fi & Fantasy books and the last stack are books I’ve gathered to send-off to a dear friend who used to be a book blogger. As you can see this small slice of my bookish life, I’m a girl who *devours! * literature in all it’s splendor of genre & thematic glory! I borrow quite a heap from my local library, too, per annum which rounds out the books not yet on my personal shelves but one day shall be! I segued away from my prompt though – as I was keen on saying, I love Magical Realism stories – including lighter fares of where the modern world enters into the Fantastical with little nudges, pushes and jolts. I love how Fantasy can be re-invented, re-bent and re-shaped per each writer’s vision of how a fantastical ‘something’ can be inclusive to a story-line, even if that particular story-line isn’t entirely Fantastically spun! A bit like how one of my favourite films starring Sean Patrick Flanery (see also this Review) was the quirky Contemporary Rom Simply Irresistible. To this day, I have no clue how my tweets about his debut novel rang in so many favourites and re-tweets; my Twitter blinked into oblivion back then! Ironically or not, this particular film was his least favourite and it’s my personal favourite aside from his Young Indy films as he plays such a horrid bloke in The Dead Zone! He does redeem himself a bit though with a Contemporary Rom lead in a Hallmark Channel film – interestingly enough. Ergo when the premise of this lovely novella mentioned ‘fairy tale’ truths – I was curiously drawn to wonder – was there a bit of magic spun into this tale or was it a play on words to where ‘as you least expect it, life shall surprise you’. Either way – if there is a spot of the magical or if it’s merely an uplift of hope for what hasn’t yet happened but will unexpectedly take the character unawares into a bit of blissitude, the story definitely caught my eye as soon as I turnt over the cover & read the blurb! She’s already given up on knights in shining armour and happy ever afters. Love, she thinks, is only true in fairy tales – even when Ross keeps appearing just when she needs help most. But is he the Prince Charming she thought didn’t exist – or is he a beast in disguise? Winning a tin of chocolate in a national essay competition at primary school inspired Christine Stovell to become a writer! After graduating from University of East Anglia, she took various jobs in the public sector writing research papers and policy notes by day and filling up her spare drawers with embryonic novels by night. Losing her dad to cancer made her realise that if she was ever going to get a novel published she had to put her writing first. Setting off, with her husband, from a sleepy seaside resort on the east coast in a vintage wooden boat to sail halfway round Britain provided the inspiration for her debut novel Turning the Tide and Follow a Star. Turning The Tide was a top 100 Bestseller with Amazon Kindle and spent months in the Top 10 Chart for Adult Contemporary Romance. Christine has also published numerous short stories and articles. Christine lives in Wales. Christine novels include: Turning The Tide, Move Over Darling and Follow a Star (July 2014). I received a complimentary copy of “Marry for Love” from ChocLit in exchange for an honest review! I did not receive compensation for my opinions or thoughts shared herein. Here’s what I’m thinking: if a witch & a vampire find true love – then surely the rest of us should be able too, as well, eh!? Cheeky snapshot of two of my favourite TY dolls, plus a bit of DIY creative decorating on my part with their chair done years ago in my early twenties. I’ve loved collecting dolls since I was quite a young girl – all kinds of dolls, from Cabbage Patch Kids to collectable dolls, to the TY dolls you see here – I believe they were called Boppers? I’m slightly forgetting their proper names, but I re-named them all the same! I have several outfits I can switch-out for both of them too, even though one day I’d rather sew my own clothes for all my (teddy) bears and dolls, so that as the seasons change so too can I seasonally represent my doll collection! When I was thinking about the title for this particular ChocLit Novella, I no sooner than thought straight-away about how I found Rose & Dougray; as Rose came first and I found Dougray out of state whilst on a road trip wherein I saw “The Nutcracker” for the first time. Honestly, I just had a good feeling about the pair and similar to how you find companions for your dearly loved cats, sometimes you know when two dolls will make quite the match! Now, comparatively – Dougray is quite smaller in statue to Rose, which of course made me immediately think about my great-grandparents of whom were fondly known in my family for having a height difference but of not allowing that particular difference to matter in affairs of the heart! I personally love period fashions and period dramas – I grew up reading a hearty array of Regency & Victorian Romance novellas and novels intermixed with my ready array of mysteries (a la Nancy Drew, the Hardy Boys and good ole Agatha Christie! ), the Baby-Sitter’s Club, The Saddle Club and Classical Children’s Lit such as “Five Cousins” and other contemporaries for my elementary age. I loved disappearing into the Regency & Victorian ages of England the most – and to this day, my fondness for both eras remains steadfast! I think this is one reason why delving further into #HistRom as a thirty-something book blogger is such a wicked sweet blast of joy! I get to visit new centuries of curiosity and new realms of where a Historical Romance can lead my heart to journey with the characters! Through ChocLit, it’s expanded to the high seas, Australia, Japan, New Zealand and making the loop through the Edwardian era inasmuch as my famed Regency! To say I was delightfully curious about this particular novella is putting it lightly, which is why I was beyond the moon elated finding it a part of my #ChocLitChristmas parcel! Especially considering how much I love the PNR style of Ms Courtenay equally to her Historical Rom style! I even had the pleasure of featuring her quite a few times throughout 2016 – as I dug inside her #Kumashiro series (see also Review) and interviewed her during the release of The Velvet Cloak of Moonlight – of which I have a delishly special surprise in store for my readers come February! This January, I am happily continuing my readings of the Kumashiro series with The Gilded Fan and The Jade Lioness! When Delilah makes the ultimate sacrifice to save Hamish from her sister's clutches, he is grateful - but he can't help but be suspicious of her motives. Nevertheless, when it appears that Delilah may be cast out, he agrees to help by employing her as a housekeeper at his Scottish residence. Christina lives near Hereford and is married with two children. Although born in England she has a Swedish mother and was brought up in Sweden. In her teens, the family moved to Japan where she had the opportunity to travel extensively in the Far East. Christina’s debut Trade Winds was short listed for the 2011 Romantic Novelists’ Association’s Pure Passion Award for Best Historical Fiction. The Scarlet Kimono won the 2011 Big Red Reads Best Historical Fiction Award. Highland Storms (in 2012) and The Gilded Fan (in 2014) won the Historical Romantic Novel of the Year Award and The Silent Touch of Shadows won the 2012 Best Historical Read Award from the Festival of Romance. Christina is Chairman of the Romantic Novelists’ Association. Novels: Trade Winds, Highland Storms, Monsoon Mists, The Scarlet Kimono, The Gilded Fan, The Silent Touch of Shadows, The Secret Kiss of Darkness, The Soft Whisper of Dreams, The Jade Lioness, Marry in Haste, Once Bitten Twice Shy, Desperate Remedies and Never Too Late. I received a complimentary copy of “Grand Designs” from ChocLit in exchange for an honest review! I did not receive compensation for my opinions or thoughts shared herein. There is a wicked sweet story *behind! * how I came into possession of this incredible machine – my dearly loved Royal, however, tonight I wanted to share my love of *typewriters! * and my growing aversion towards using traditional technologist resources to write stories! It began by a succession of computers which not only died behind the infamous ‘blue screen of death’ but due to the fact I never understood the best method towards ‘saving’ a backup of my files until I became a book blogger! Remember: I’m old enough to remember *floppy! * 5 1/2 discs and their cousin, the 3 1/2! I am sure other GenX writers out there know what I’m referencing, too! Then, there is the whole connective connection to writing by typewriter vs. a computer – mind you, I will always have a computer in my life, but the advantage of having a typewriter is complete immersion into the writerly process without the distractions of social media (which ahem! sometimes distracts me as a blogger!) or the curiously curious features that comes with a Win10 upgrade! I’ve gone through bouts of gaming since October, collecting ‘apps’ (oh, dear!) and had a serious addiction to “behind-the-scenes” of new tv dramas via the Win store, too! (oy, oy) A girl can get properly addicted to these new lovelies due to how user-friendly they are and how much you can honestly do on them. I am unsure which method of writing Ms Mitchelmore used to compose her words inside her novella or in her novels, but all my future stories will be composed on my Royal and a few more retrofitted vintage typewriters I have yet to collect! There is a growing sub-culture of writers who are wicked addicted to typing their stories rather than using a more 21st Century method – the #Typosphere is calling me, too. Where you literally ‘type’ your blog posts? I will be exploring that sometime in the future – I simply need to get my Royal serviced, spruced up a bit and gather a small collection of necessary items, such as INK + PAPER. Laughs. Trivia of Jorie: She began writing on an electric typewriter not a computer when she was writing her Science Fiction novel as a teenager – however, her earliest writings as a child were on a Commodore owned by her maternal grandfather. I picked Ms Mitchelmore’s series to begin next as one thing I have enjoyed over the course of *2016! * is becoming further introduced to serial ChocLit! My readings of To Turn Full Circle begin in January – thus, imagine how keenly happy I was to spy this novella in my #ChocLitChristmas parcel of joy!? An early ‘preview’ if you will of an author I have been eagerly awaiting to read! Subtitle: You can change the house but can you change the man? Morgan is bound by his late father’s wishes to keep Oakenbury Hall within the family and have children, and the more time Carrie spends with him, the more she yearns to be the woman to fulfil this wish. But the likes of Carrie Fraser could never be enough for a high-flying businessman like Morgan … could she?